2012 America the Beautiful Quarters is part of the America the Beautiful Quarters® Silver Proof Set series and was the 3rd set to be released. 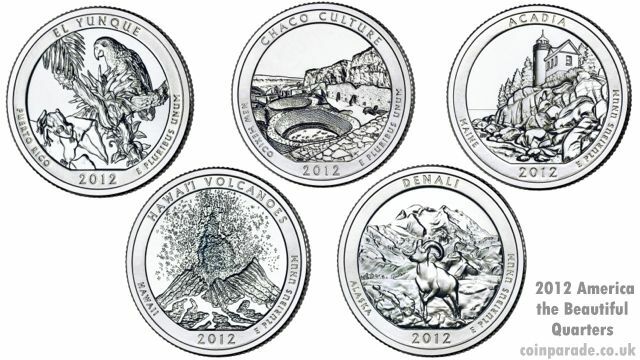 The US Mint launched the series in 2010 to commemorate the most cherished National Parks and other National sites. 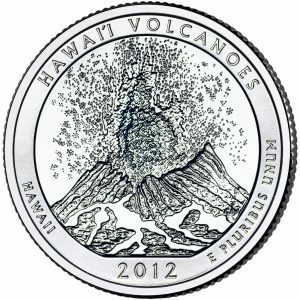 Each year 5 quarters of different designs are minted and released as both Proof and Uncirculated. 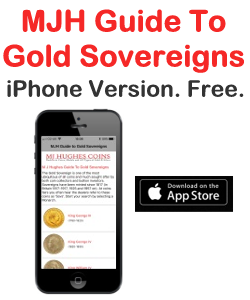 The series consists of 56 coins and runs from 2010 until 2021 inclusive. Each obverse of the 2012 America the Beautiful Quarters shows John Flanagan’s 1932 portrait of George Washington. 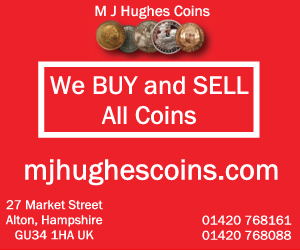 Each coin is 90% silver and weighs 6.25g with a diameter of 24.3mm (0.955 inches) and are available as Uncirculated or Proof. The edge is reeded. Coins are minted in either Philadelphia (P), Denver (D) or San Francisco (S). The El Yungue National Forest in Puerto Rico is a relatively small (28,000 acre) rainforest but still attracts over one million visitors a year. It became a National site in 1903. 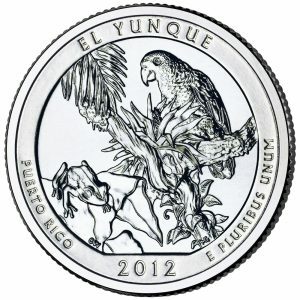 The reverse was designed by Gary Whitley and sculpted by Michael Gaudioso, and shows a Coqui tree frog sitting on a leaf and a Puerto Rican parrot next to an epiphyte plant. 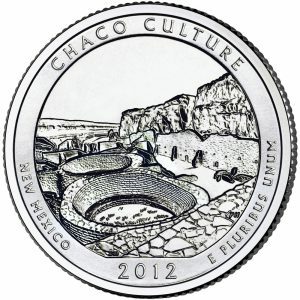 Chaco Culture became a National site in 1907. It is the home of the Pueblo Indian peoples of New Mexico, the Hopi Indians of Arizona and the Navajo Indians of the southwest. The reverse was designed by Donna Weaver and sculpted by Phebe Hemphill, and shows a view to of two elevated kivas that are part of the Chetro Ketl Complex. It also shows the north wall of Chetro Ketl and the north wall of the canyon. Acacia became a National site in 1916 and is renowned for it’s beautiful, rugged scenery. 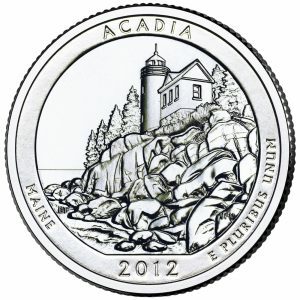 The reverse was designed by Barbara Fox and sculpted by Joseph Menna, and shows the Bass Harbor Head Lighthouse and coastline, with pine trees and the sea. The Hawaii National Park was established in 1916. Hawaii is some 2000 miles from the next land so is geographically remote volcanic group of islands. The reverse was the work of Charles L. Vickers, and shows the eruption of Kilauea Volcano. Denali became a National site in 1917 and today spans more than 6 million acres. It was originally called Mount McKinley National Park as it is home to the tallest mountain in North America, Mount McKinley, which stands at 20,320 feet. It has an abundance of wildlife, such as bears, wolves, caribou, sheep and moose. 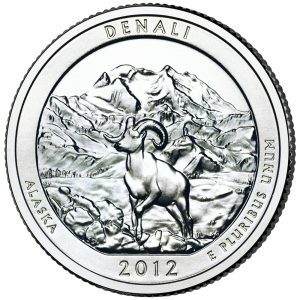 The reverse was designed by Susan Gamble and sculpted by Jim Licaretz, and shows a Dall sheep with Mount McKinley in the background.